Running The Race Before Us: Three reasons why you should consider running on Thanksgiving next year! Three reasons why you should consider running on Thanksgiving next year! 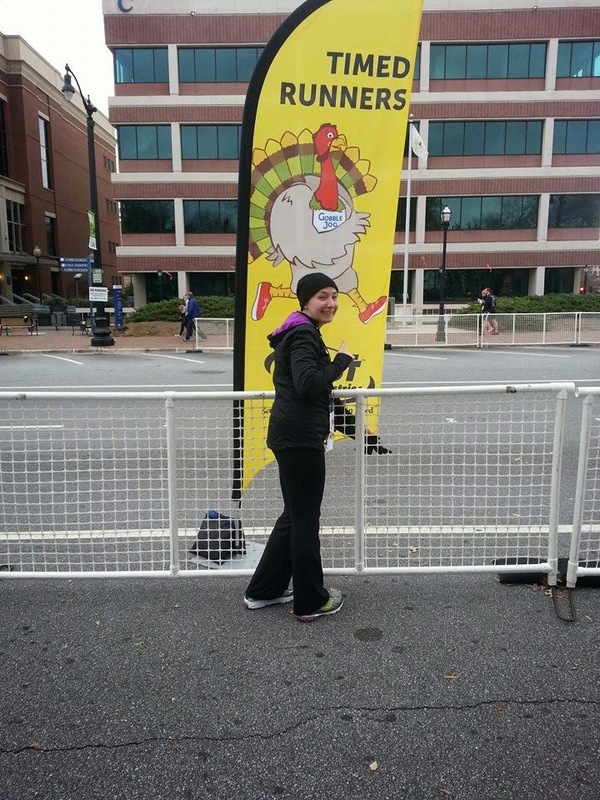 Some call it a turkey trot while others refer to it as a gobble jog. Whatever the name, it is the same thing: a race to help assuage the anticipated guilt that will wash over you after overeating on Thanksgiving. At least, that is one of many reasons why I run on Thanksgiving. Yes. Yesterday, hubby and I - for the third year in a row - ran a local gobble jog. Three reasons why you should run on Thanksgiving! 1 - Crush those extra unnecessary calories you will most likely consume later in the day. 2 - Typically, turkey trots and gobble jogs support great causes. What better way to express your thankfulness for your many blessings on Thanksgiving than giving back to your community via a race? The gobble jog my hubby and I ran yesterday benefited MUST Ministries. This organization helps to provide food, clothing, housing, and employment services to those in need. 3 - Running helps to improve your attitude. Perhaps Thanksgiving is a painful holiday for you? Perhaps it's associated with painful memories? Or perhaps you are just dreading the day with those relatives you hate? Or perhaps you are dreading spending the day alone? Whatever the illness, a run is just what the doctor ordered! 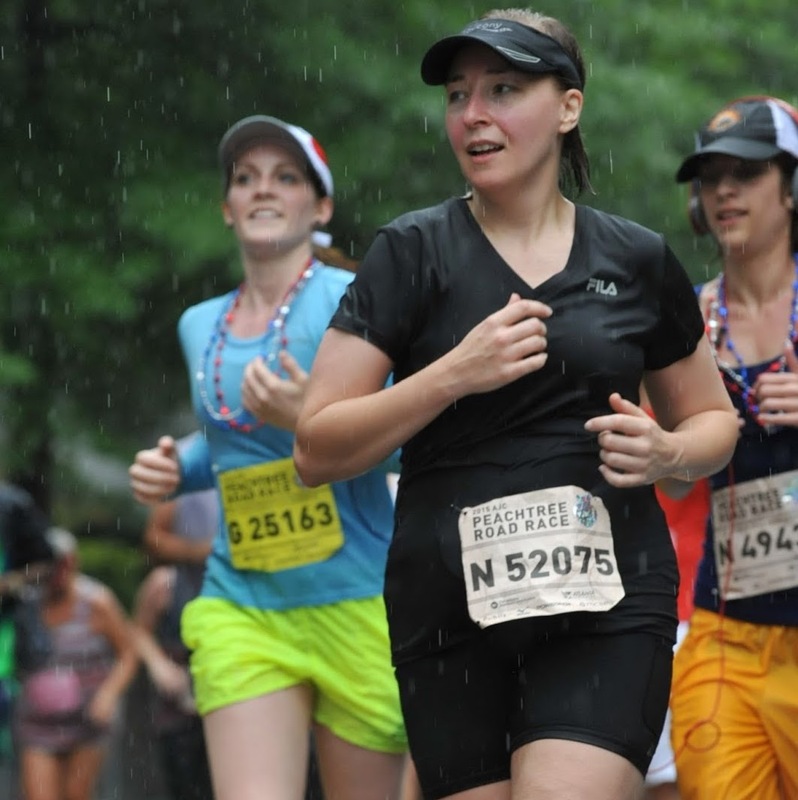 An article from Runner's World reports that running can help make you happier! For depression and many other ailments, running can help improve your overall quality of life. So, I hope I've convinced you to get out of the house next Thanksgiving and go for a run before popping the turkey in the oven. I promise. You won't regret it! Today's forget-me-not: Sign up for a gobble jog in 2015!